What Kind of Poison is Betrayal Anyway? Today’s post is written by Brave Writer, Melanie Neilson. I woke knowing that sleep had avoided me. I set my feet on the floor realizing I had no desire to start this day. I made my way to the shower as fear tried to stop me. The warm water soothed my tired body, as I stood motionless under the rain. I wanted to stay right there and let my mind forget what the day beheld. How do you tell someone that they have hurt you so deeply that you feel like you can’t go on? How do you start a conversation that might end with you losing the very thing you felt like you lost already? How could the pain get any worse? What type of poison is betrayal anyway? I changed outfits three times. I stared at the person in the mirror with disgust. If you hadn’t been so gullible, if you hadn’t been so trusting, if you hadn’t given so much of yourself……wait, maybe if YOU had given more…..if you had been more open, if you had been smarter….if you…if YOU…. Starting the car, I could feel my heart race, and nausea rise to the surface. Would she show up? Would she listen, would she hear me, would she reject me? I turned the corner and saw her car. The pulse of my heartbeat in my head was louder than the sound of the engine. I wanted to keep driving, speed up, and never look back, but I turned in the parking lot and parked next to her. I saw her sitting in her car with her head leaning against the driver’s window. Her eyes were closed until she heard my car. Looking up, she smiled and nodded my way but I could tell she knew something was wrong. How could she not? Wasn’t she the one who caused all this pain? Slowly, I got out of my car and stood at the passenger door of her car. She reached over and unlocked the door. Grabbing the handle, I wanted to tear open the door and scream every horrible name I could think of. I wanted to grab her arms and shake her and ask her WHY? I wanted her to feel the overwhelming pain that I was feeling. I wanted to hurt her like she had hurt me. As I got into her car, I could see she had been crying. Good, I thought. Maybe there is some justice. I started to tell her how much I hated her right now, but nothing came out. All I could do was feel the poison of betrayal. It started in my heart and spread throughout my entire body, all the way to my soul. 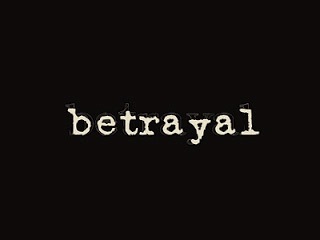 I wish I could say that betrayal’s poison vanished completely that day, but it didn’t. However; it lost its grip. You see, courage allowed me to get out of bed that day. Tenacity drove me to the meeting. Fortitude held me there until I could let the poison go. One of the most powerful relational lessons I have learned is that it takes courage to admit and acknowledge when you have betrayed someone. It takes courage to seek forgiveness. It takes more courage to listen without accusation and to forgive. If forgiveness is not extended, the poison of betrayal will eventually usher in death in copious ways. I had to choose to live brave, not broken and to forgive. Colossians 3:13 Bear with each other, and forgive each other. 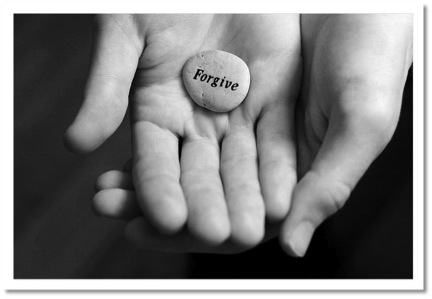 If someone does wrong to you, forgive that person because the Lord forgave you. Melanie is a wife, mom, and grammy to an amazing family of twelve. She is a friend, daughter, sister, pastor, and advocate for justice. Her heart goes beyond the borders of the United States and longs to love others the way Jesus does. Thank you Mel. You have no idea how your story blessed me. I am going through something similar where someone’s pain has become my poison. It helps to refocus the pain. Thank you. A gripping post. Thank you for sharing Melanie. Thank you for your feedback Laura. Blessings!